The last time I did any kind of obsessions/ favourites was way back in August (my birthday month feels so far away now it’s all mostly cold, rainy and grim out!) so I thought it was about time to do another and share a few of the things I’ve been obsessed with/ using loads over the last few months with you! ✖️ Melt Cosmetics Blush in Honey Thief*. Back in my very early working for MAC days I used to be all about blush but since then (I’d even say for the last 10 years or so!) my love for it slowly but surely died a death, it’s only recently (in the last year) that I’ve become once more a bit of a blush addict! I still couldn’t be without contour/ light bronzer (to give much needed warmth and definition to my super fair skin) or highlight (I love me a glitter free dewy glow!) but really think a small pop of the right shade of blush really pulls a makeup together and gives a natural/ healthy finish to your skin. It’ll vary from person to person, but I like wearing mine on the outer portion of my cheek so as not to undo my contour (if you wear blush on the apples of your cheek/ closer to the centre of your face, it can make your face look rounder…I definitely don’t need that!) and it just marries my contour/ bronzing and highlight together perfectly! I sometimes use a tiny bit on my nose too…it adds a cute healthy feel without looking obvious or Rudolf esq. Melt have so many amazing blushes (I have and really like most of them) but the shade Honey Thief is everything and the one I reach for the most! 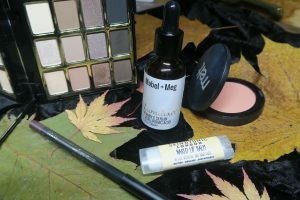 As with most Melt products (read more about my Melt Cosmetics must haves here) the formula of these blushes is velvety soft, highly pigmented and blend like a dream…they’re so easy to work with. Honey Thief is a lighter shade, but I’ve seen it on so many skin tones and am yet to see it not look great on everyone! The perfect neutral toned natural peach shade…I LOVE it! ✖️ Melt Cosmetics All Day/ Everyday Eye Pencil in Lamia*. While on the subject of Melt (and again I use a good few shades of this on the daily…such a pigmented. 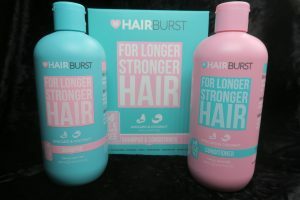 creamy and long lasting formula!) I’ve been really enjoying their Eye Pencil in the shade Lamia. It’s one of their Ultra Matte’s (my favourite formula) and described as brown with a rich eggplant (Aubergine) base. I like how Lamia’s still neutral and gives all the grungy depth and definition I like, but just a little different you know?? A good softer option to black and I feel universally flattering regardless of eye colour! I usually go along the more red toned plum lines personally but with this having that slight eggplant undertone to it, I find it really pops my green eye colour and makes the whites of my eyes whiter…winner! 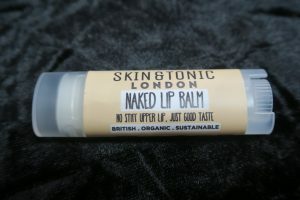 ✖️ Skin & Tonic London Naked Lip Balm*. It’s that time of year again when it’s noticeably colder and my lips attempt to fall off…dramatic I know, but if I don’t keep them hydrated and in check it’s painful, looks awful and means I then can’t wear any of my favourite lip products other than a constant 3 inches thick balm! You’ve all probably seen me talking about my other go to lip/ multi-use hydrator before, the Dr PAW PAW Original Balm…still my glossy go to and a great Vegan option btw. But the main reasons I love the Skin & Tonic one too…it has a less glossy finish (so great under matte lip products), 100% natural and it’s in a stick form so super handy of the go. It comes in 4 flavours/ scents…Rose, Mint, Lemon and this one Naked, which I prefer. It’s coconut oil based so the only (very slight) scent it has is of that. Inexpensive, super hydrating, non sticky/ scented and compact. ✖️ Hairburst Shampoo & Conditioner*. ✖️ Milani Soft & Sultry Eyeshadow Palette*. You know what I’m going to say…I didn’t need another eyeshadow palette, but did I buy one?…course I did! One of my favourite US cruelty free (and have plenty of Vegan options too!) drugstore/ affordable brands Milani recently added the Soft & Sultry and the Pure Passion* Eyeshadow Palettes to their line. Out of the two, I’d forgive you for presuming I’d go for the Pure Passion full of warm neutrals and red tones* (let’s be real, that’d normally be absolutely the case…you know me well at this stage) but…the Soft & sultry was the one! At first I thought it was way cooler toned than it is, but after seeing more and more swatches it’s actually on the cooler side (especially compared to my norm) but I’d describe it more as a neutral palette. It’s a 12 shade palette and I love how the majority are matte, but out of the 4 none mattes there’s a super wearable icy white gold highlight shade and 3 gorgeous mid tone (and extremely pigmented!) foils…a really well balanced palette in my opinion meaning you’re easily able to create loads of cohesive looks from the one palette. Don’t you just hate when there’s too many shimmers, not enough matte shades and it’s the effort of having to go hunting for shades you need in other palettes…especially true for travel actually, it’s be a great one to take away with you! The Milani Soft & Sultry Palette*‘s one of the best quality drugstore/ affordable palettes I’ve ever used…pigmented, soft, blendable and just a really great neutral/ cooler addition to your collection, especially for normally warm toned fiends like me! ✖️ Mabel + Meg Lumilixir*. So this is a relatively new product to me, but I already know of it’s favourite status! I’d put off picking it up for the longest time for no other reason really than because I was trying to use up loads of other skin care bits and had kind of forgotten about it. Anyway, it’s again this time of year (cold weather, heating etc) when my general skin (as well as lips) starts to misbehave and get dehydrated no matter how much water I neck and I just needed something different (in serum form…that I knew I wanted) to keep my skin in check over the coming months. I was just about to give up my search when I remembered the lovely Jordi (@itslikelymakeup) forever talking about and recommending this holy grail of hers (she has been using it for the last few years!) while re watching a skin care/ brand focus video on YouTube…yes! I ordered it, already fell in love and can see why she’s obsessed with it! The Lumilixir is ultimately a hydrating face serum. It’s a smooth oil free concentrate containing vitamin c and Hyaluronic Acid…it hydrates, restores elasticity, reduces the appearance of fine lines and wrinkles and all round plumps and illuminates your face! What’s not to love in that last sentence?! It feels so good to apply and almost immediately sinks in to your skin leaving no residue, just plumped up comfortable skin! If you have dull and/ or dehydrated skin like I did right now, this might be/ will probably be the answer! 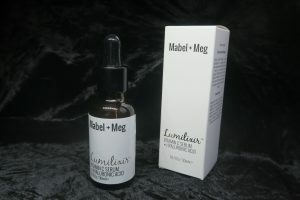 I’m really happy that I tried the Mabel + Meg Lumilixir* and am already getting the ‘can’t live without it’ feels! So that’s it for now, a few of my most used and loved! I’m testing quite a few new bits at the moment so am hopeful (for slim to no duds and lots of new stuff for me to be obsessed with!) that I might have another one of these posts for your eyeballs in the not to distant future! And as always, if there’s anything you want me to try/ review or fancy a more in depth/ dedicated review for any of these…let me know in the comments bellow! What have you been obsessed with recently and reaching for most days? ?